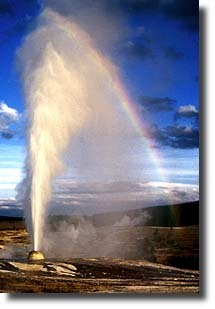 Beehive Geyser is magnificent. Eruptions usually occur twice each day with displays lasting 4 - 5 minutes. During an eruption, the narrow cone acts like a nozzle, projecting the water column to heights of 130 - 190 ft (40 - 55m). How does Beehive work?